Welcome to Card Collector Digest (CCD), the leading online resource for trading sports cards. We are here to help you and throughout our website, you will find information on collecting sports cards in hockey, baseball, football and more. We have guides for collecting sports cards, information on card grading companies and what you need to know about collecting sports cards, where to buy, and we have our very own exclusive section for those who'd like to know more about betting on sports online too. It's all here so take your time and learn all you need to know. At CCD, our aim is to help educate and assist you by providing a comprehensive database of trading information, as well as checklists that will help you be successful. We also have how-to guides and collecting sports card guides and tips. 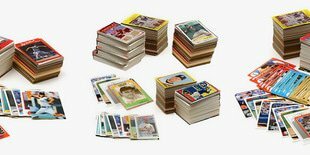 Baseball cards were first created in the late 19th century by tobacco manufacturers and they are still the most popular today. In fact, it is a $200 million industry and in our baseball section, you will find information on products, collecting sports card articles, card guides, and so much more. In CCD's football cards section you will find information on the different products available, player profiles for the NFL and more, articles, collecting sports card trading guides, and more. Football has become increasingly popular and we have all the information you need. Hockey cards may be the smallest segment of the collecting sports card market but there are some very passionate buyers and traders out there. In our hockey section, you will find information on the different card products, NHL player profiles, articles, guides, and more. You can find out everything you need to know about card buying and how collecting is fun or to find a price guide be sure to visit our card buying and trading page. There are a number of different ways to buy cards online. You can try a local store, go to card shows, buy through mail order, and of course, you can buy them online. 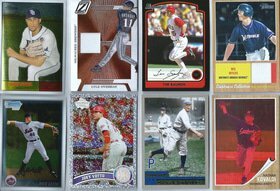 The internet has given rise to several online communities where collecting sports cards is easy and fun. We have in-depth guides for each of these options to help you find the one that will make collecting sports cards work for you. It is essential to take care of your cards if you want to start collecting sports cards. There are lots of products you can buy to protect them. We have an extensive list of tips and card caring on our site including the obvious ones such as keeping food, drink, and babies away from them. You can view more in our care guide. If you are into collecting sports cards you may enjoy betting on sports too and with the internet, you can do this from the comfort of your own home. You can bet on baseball, hockey, football, and more and many of these sports betting sites give new players free bets so you can test them out risk-free, and even win real money. You can visit our online sports betting section to find out more and discover the best sports betting offers and sites for where you live.